President Obama signed an executive order directing federal agencies to expand suicide prevention strategies and improve access to mental health and substance abuse treatment for veterans, service members, and their families. The Department of Veterans Affairs will also work with the Department of Defense to establish a national, 12-month suicide prevention campaign focused on connecting veterans to mental health services, officials reported. To ensure veterans have access to these services, the executive order also calls on the VA and HHS to establish at least 15 pilot sites where VA can partner with local mental health providers. This initiative, officials said, will help ensure services are available in regions where VA has had trouble hiring or placing providers. The Veterans Crisis Line is a confidential hotline where veterans and family members can immediately connect with trained professionals during a time of crisis. The toll-free hotline is 1-800-273-8255. Suicide is a monumental problem in our society and in the military. Currently, a member of the Armed Forces dies each day from suicide. We could easily read the suicide rates for 2012 and forget that every suicide statistic represents a life lost. A death that leaves behind scores of hurting people. There is no “one size fits all” solution to suicide. People contemplate suicide for many different reasons; increased alcohol and drug use, divorce, family dissolution, financial matters, legal trouble, an illness, depression, and many other reasons. While the causes vary, we can all show universal concern and support. 1. Be present. Show your concern for people in pain. Make time for the person who is hurting. Scripture shares that we need to “bear one another’s burdens.” Take time to help through their days of difficulty. 2. Listen. Express compassion through listening and responding. Empathy is a great way to show concern to a person experiencing pain. Hear his or her concerns. Allow that person to say what is causing the pain. Share the gift of silent listening and then you can guide your friend with wise counsel. 3. Do something about the problem. Too often, people at-risk are so overwhelmed with depression, grief, stress, or anguish that they don’t know where to turn next. Give that person guidance. Share resources that can help. Take them to a medic, chaplain, or counselor. Call the VA hospital. Find a way to connect the person with assistance. The Bible encourages us to be, “doers of the word, not hearers only.” Take action, especially when it comes to the important issue of suicide. Suicide impacts our state, our community, and National Guard units across the nation. While causes will vary, we can all make a difference in addressing the problem. Demonstrate compassion and concern for those who are hurting. Take time and be available to friends in need. The time and efforts you make can save a life. It is time to make a difference in your community. It is time to stand with those who are suffering. September is suicide prevention month. Take time to find, list, and highlight organizations that can save a life. Find out what resources are available in your community and share those resources. No matter where you live, your community has access to a local, state, or national group that helps people at-risk of suicide. Possible organizations include: crisis centers, hospitals, churches, charities, call centers, veteran groups, along with schools and universities. It is also important to know the warning signs and symptoms of people at risk. 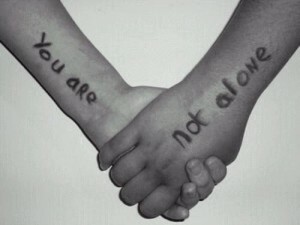 Take time to educate yourself, take a class, or attend a survivors of suicide support group. Suicide is a tremendous problem in our communities and our society. It hurts spouses, children, parents, extended families, friends, and co-workers. When it is all said and done, suicide impacts everyone. Take action this September. Make a difference in your community. If you find a meaningful website, share it with your friends. If you attend an ASIST class, tell people how to intervene. Your actions and words of encouragement could help to save a life.